A 6 part PodCast batch for the latest episode [#5] of the Magic Hour with Michael McCallum Hear music from Jen Sygit and off the Fairview St. Soundtrack accompanying the in and out of these six tracks. Michael discusses many aspects of creating this work from 2006 until its January 2009 showing at Celebration Cinema of South Lansing, MI. His guests include Jen, along with William C. McCallum, Jeff Bone, and Justin Muschong. 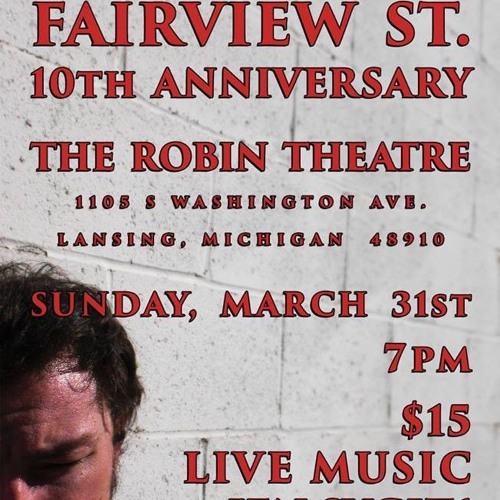 The 10th Anniversary showing of Fairview St. set for REO Town section of Lansing, MI, 7pm Sunday March 31, 2019.